I am working on a new feature for the blog, It's my Thing a Day. (not to be confused with the equally awesome, thing-a-week) I have shamelessly stole this idea from my better half, and her blog GingerGoddess. She is doing a 365 pics for 365 days. So I will be doing an update each night I do something Hobby related. 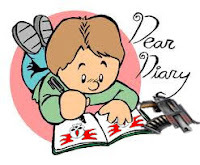 So each update will be like a hobby diary and contain a pic or three to show my progress that day. Now, I might not have a entry each day, but my goal is to at least do four out of five days a week (not so much on weekends, unless I get lucky to have time), and if theres a reason I don't update, I'll make sure its a good one. For this first week, I will roll it all into this one post, and from now on I will keep it one post a day on the blog. I will later put each week on the thing-a-day page for archiving. Sounds awesome right? I thought so, Read on! Example of my Melta painting process. Clean em, pin em, paint em. Cleaned up and readied the last 6 painted melts from the last painting batch (The Dev bolter marines). 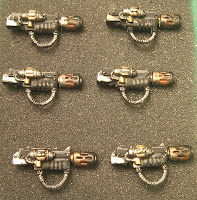 This is six painted meltas ready to go. 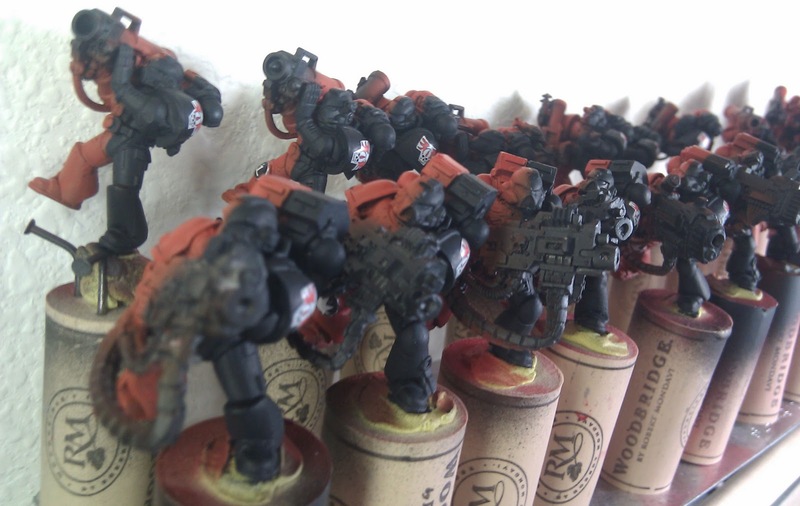 I usually paint them with a batch of marines, as its quick to paint up a batch of guns with a squad. Played in the bits box...Guess what!? I have enough marines for another Jump Pack Assault Squad! So making this I was able to create a full 10 man squad but I'm missing some Jump Packs...I will order those from Paladin when I can. No real rush. This will probably be my last JP Assault Squad as it incorporates full Bling from the DC sprues and will be my First String JP Assault Squad. Almost like the Vet Squad, probably from the First or Second Company. 10 More AS ready to be cleaned and assembled. This will be my First String AS squad with veteran skull decals forming an Assault squad from the First Company of the Angels Sanguine. These are the troopers who would form an Honor guard or be in Terminator armor as the engagement dictates. Tuesday Night Fight Night (post 89 and up). I played a 1500 point battle, Spearhead Capture and Control vs. the Necrons. I did well and tested out a multi-charge, and got the Phase-out on turn 4. Check out the forum link for full details and some local happenings. Basecoated Dev marines with my mix of Scab Red/Red Gore base over black , with Blood Red Highlights. Busted out the airbrush and base coated my Devastator special weapon marines. Total of 8 Missile Launchers, 4 Heavy Bolters, 4 Las Cannons, 4 Plasma Cannons, and 2 Multimeltas. 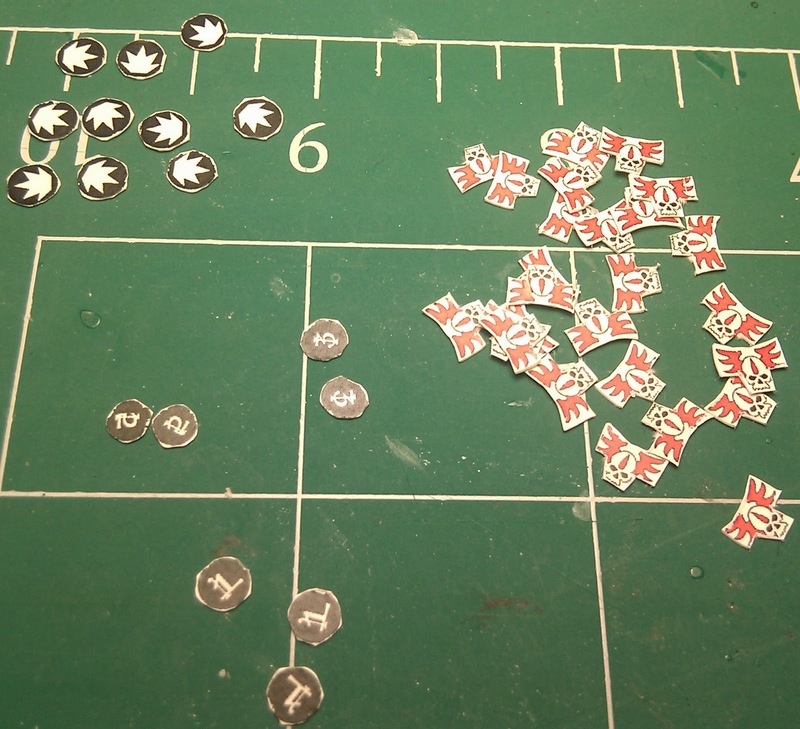 I have bits for four more ML for a total of 12 by the end of it. I noticed that two of my missile launcher marines are AoBR marines and have the Tactical arrow cast into the Right shoulder pad. 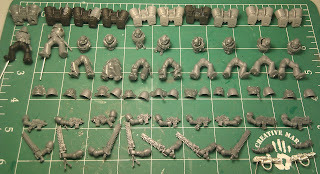 I will swap them out with my Tactical ML marines and repaint the helmets and place them into my Devastator squads. Not necessary, I know, but I like clean and consistent (OCD), plus this way All of my Devastator missile Launchers will match across my three Dev choices. Tomorrow I plan to line and cut in the black halves of the armor. The Devs have now gotten hit by the brush and Blue/Black on half of the armor finishing up all the armor base color. Lined out and painted the black half on the Dev marine armor. 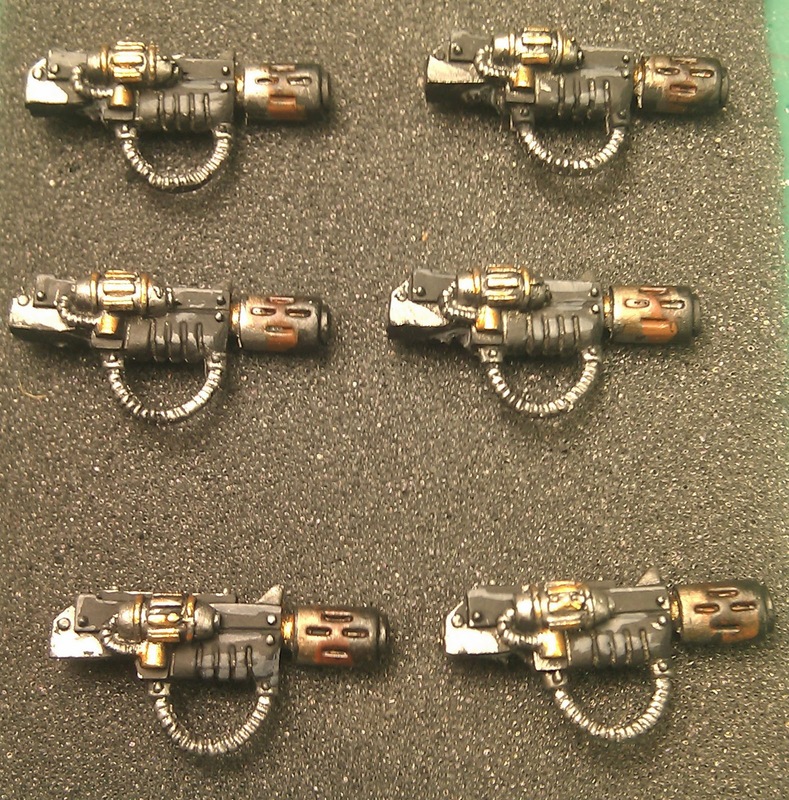 Assembled base coated with airbrush reds, and brushed black my last 4 Missile Launchers to add them to the pile. Cut out and applied all of the decals. 28 Chapter Icons, 17 knee badges. -And so, thats my first Week! Stay tuned for more Thing-A Day posts! 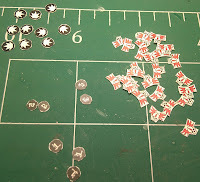 Have you seen those close up pics of the new Dreadnought Sprues? Pretty Swanky eh? I need to save my lunch money for two or three of them. Luckily, with the extra few face plates I can convert my existing dreads to make all of them unique. Plan is a total of 3 Regular Heavy dreads (already owned), 3 Furioso (1 owned), 2 Libby Furioso (1 owned), and 2 DC Furioso (1 owned). 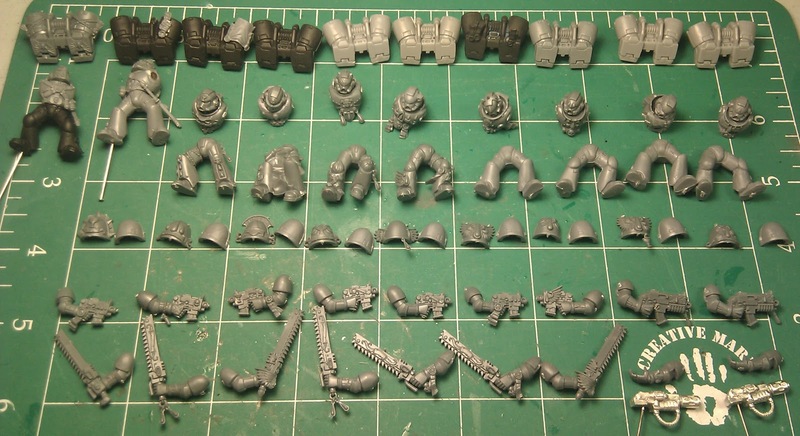 Check out the Sprue Pics here Via-BoLs Via-Morticon. WOOT!